According to statistics prepared by all of Iraq [where] that dollar sales at the central bank auction last month rose in November for auction sales in October. Baghdad (news) .. A member of the Economic Commission MP / National Alliance / Ibrahim stirrup, that the high price of the dollar depends on the ratio of supply and demand in the auction sale of the currency in the central bank. Told the Iraqi Central Bank, the Finance Committee in the House of Representatives that he will try to raise zeros from the currency beginning in 2014. As a result of damage to most of them, can not maintain their quality for a long period of use, has become the currency with small groups into grumbling and resentment of the citizens as a result of digging majority, thus opening the door to calls for restoration of the coin for these categories of money they are not affected by various factors that are exposed during circulation for long periods. 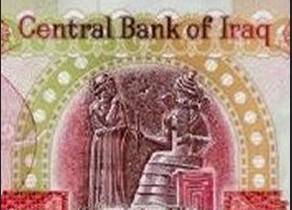 Tomorrow Press / Baghdad: The member of the parliamentary Finance Committee Hassan al-Bayati, Sunday, the Iraqi Central Bank to maintain the value of the dinar against foreign currency, considering that this is of the duties of the bank. The member of the Finance Committee, MP of the Kurdistan Alliance, Dlair Qadir called the Central Bank of the need to facilitate the procedures for the sale of hard currency for citizens and banking companies to support the Iraqi dinar exchange rate against the U.S. dollar. 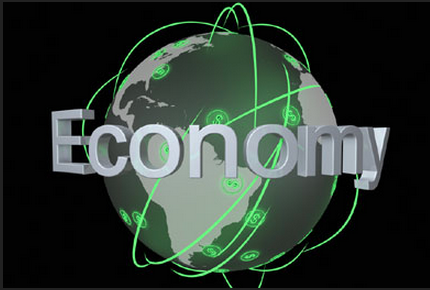 varied views of specialists in economic affairs around the central bank’s decision excluding 12 out of 32 banks waged from the auction currency for not achieving increased their capital to 250 billion dinars within the period set by the Bank For those banks, regarding an economist believes that this decision will impact on the reputation of banks, both domestic and external. Confirmed for the economy and investment committee that parliamentary raise zeros from the dinar improves its value, expected completion of this matter in 2015. Baghdad (news) .. 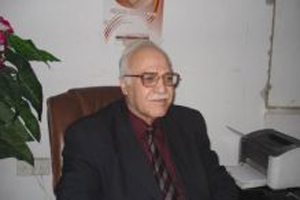 Expert stressed financial affairs Majid picture, that in the event weakened the purchasing power of the Iraqi dinar means that the existence of inflation offset by a rise in prices, which greatly affects the economic stability of the Iraqi dinar. said researcher economic state fair: that of Iraq to sell crude oil in local currency depends on the stability of the general situation of the country as well as the stability of the dinar exchange rate and recorded as currency global. Baghdad (newsletter). She is a member of the Finance Committee, a Deputy from the Kurdistan Alliance//smart Najeeb, the Central Bank takes measures and controls to support the stability of the dinar against the dollar. The view of the Chairman of the Securities Commission, Dr. Abdul-Razzaq Al-Saadi, the Iraqi dinar will not be affected by regional events.